Jo Malone Cologne intense range are a collection of fragrances which have a much deeper, richer scent than the standard cologne range. The intense range seems some what more mysterious and mature. I think because it's bottled in the beautiful black glass. June's offering from Jo Malone is Tuberose and Angelica. This bottle is particularly chic as it has the gold floral patterned transfer over the bottle along with gold lid. Tuberose is a night blooming plant which is native to Mexico. It produces white waxy flowers and despite the name it is no relation to the Rose family. It is more akin to Jasmine flowers. 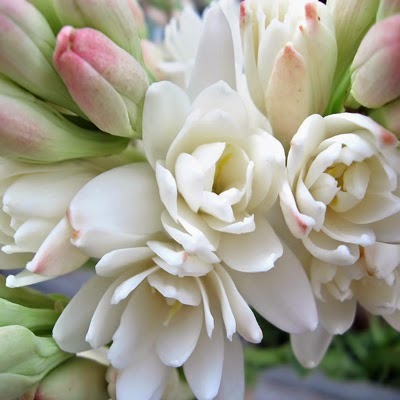 Tuberose is a deeply floral, heady scent that is quite distinctive. Apparently the Victorians banned young ladies from smelling Tuberose in fear of it's aphrodisiac side effects! Angelica is native to the northern hemisphere and grows up to 3 meters high in large bursts of green and white flowers. 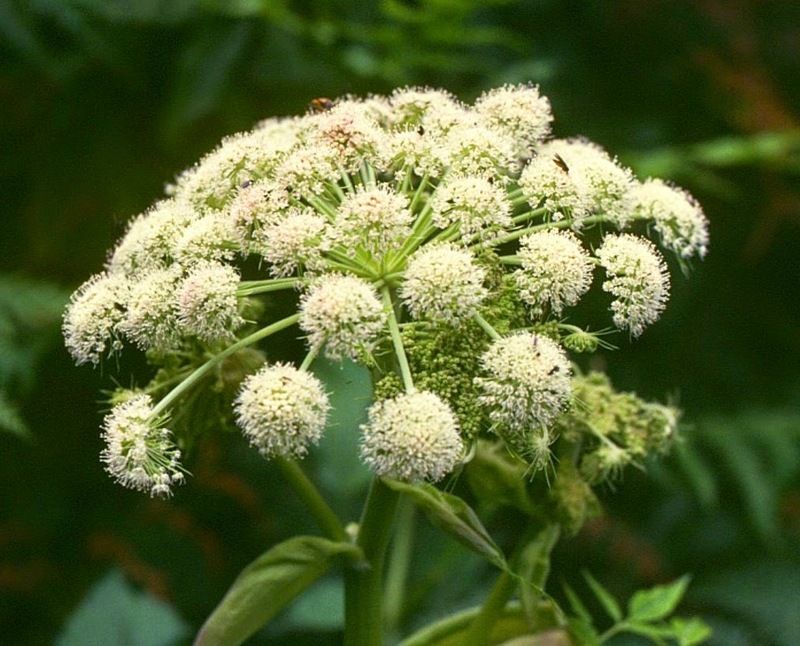 Angelica was once used in spiritual rituals to encourage healing and warn off evil spirits. Any decent witch has Angelica growing in her garden!! The base note is Amberwood which gives it a warm spice undertone. I can appreciate the scent of this cologne however the scent is not one which I would normally go for. It's very floral and because of the high quality of the floral ingredients it lingers and lasts on the skin for hours with a heady intensity. I prefer it after it has been on the skin for a hour and warmed up a little. At £100 for 100ml this is not a cologne you would order online on a whim but take a trip to a Jo Malone boutique and sample first. The packaging is absolutely beautiful! Jo Malone is getting up there at the top of my favorites list! I have the Orange Blossom cologne and its beautiful! Wow, this perfume looks like a work of art!